Explore how solar energy can generate electricity with this snap-together grasshopper kit. 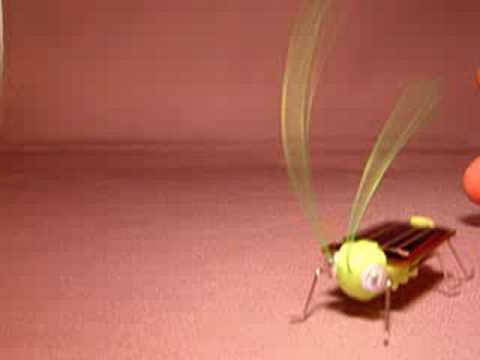 Solar Grasshopper Kit - Build your own life-size grasshopper and explore solar power with this educational mini solar robot kit. The snap-together, attention getting Solar Frightened Grasshopper teaches how solar energy can be used to generate electricity. This easy to use science kit is perfect for first time experimenters with little or no experience. Ages 10 and up.